Learn how to create your own lead guitar solos with these online guitar lessons. Guitar improvisation is more that just learning a bunch of scales and arpeggios. Here you will learn systems to help you effectively improvise guitar solos. Learn about Guitar Phrasing how to use timing creatively in your lead guitar solos. Includes MP3 Jam Track. All guitar lessons on Cyberfret.com are in the process of being updated. Below are some guitar lessons from the old website covering guitar improvisation that have not made it to the new one yet. Improvising Guitar Solos 101 - This free lead guitar lesson teaches the basics of learning to play your own guitar solos. 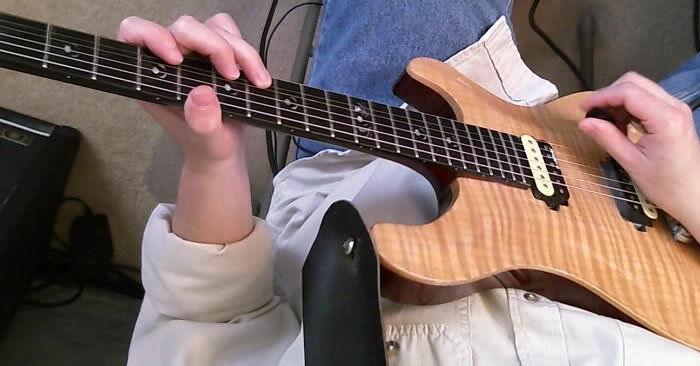 Improvising Guitar Solos 102 - Expand your lead guitar solos with these guitar licks. Targeting notes in your lead guitar solos - This guitar lesson covers how to emphasis the root of the A minor pentatonic scale on the guitar. Extended Minor Pentatonic Scales - Learn to expand the range of your lead guitar solos with these extended minor pentatonic scale forms. Filling in the Cracks - This lead guitar lessons teaches an easy way to add some chromatic notes into your guitar solos. 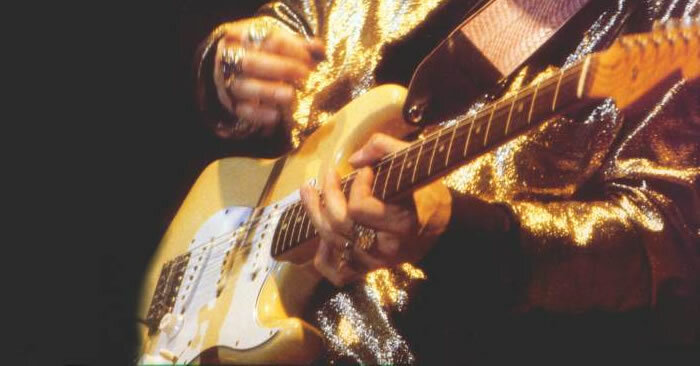 Basic major pentatonic scale solos - Learn how to incorporate some major sounds into your guitar solos with the major pentatonic scale. The Minor Scale - Expand your guitar solos beyond pentatonic scales with a look at the minor scale on the guitar. 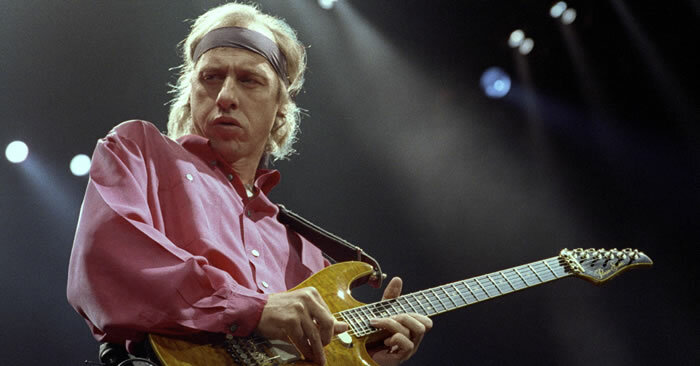 The Sultan's Triads - Add some flash to your guitar solos with these major and minor arpeggios derived from the Dire Straits song "Sultans of Swing". How To Make A Great Guitar Solo - In this video guitar lesson master guitar teacher Tom Hess shows you some key elements of phrasing that will bring your guitar solos to life. Improve Your Lead Guitar Playing - In this video guitar lesson Tom Hess shows you how to play more expressive guitar solos by taking a small phrase and getting as much music out of it as possible. Improvising over key changes - Lead guitar Ideas for the rookie Jazz guitarist, and improvisers of all styles. This guitar lesson teaches you how to solo over key changes. Improving Your Guitar Phrasing: Part 1 - In this guitar lesson from Nick Layton you will learn what phrasing is and, more importantly why it is critically important to your lead guitar playing. Improving Your Guitar Phrasing: Part 2 - In this lesson Nick Layton continues his exploration of guitar phrasing and how to improve your guitar solos. Improving Your Guitar Phrasing: Part 3 - In this lesson Nick Layton shows some very cool legato phrasing licks and shows you how to incorporate these smooth phrases into your lead guitar solos. Improving Your Guitar Phrasing: Part 4 - In this guitar lesson Nick Layton teaches 5 steps to better phrasing and cooler guitar solos. Jamming With a Purpose - Improving Your Lead Guitar Solos - Guitarist Nick Layton teaches you how to improve your lead guitar solos and phrasing by focusing key elements when jamming. Lead Guitar Phrasing Lesson - Nick Layton will teach you some cool lead guitar licks and how to vary them with different elements of phrasing in this guitar lesson. Lead Guitar Lessons From Freebird - Video Guitar Lesson - Guitarist Bob Murnahan shows how lead guitar ideas pulled from " Freebird" by Lynyrd Skynyrd can be used as a springboard for your own guitar solos. 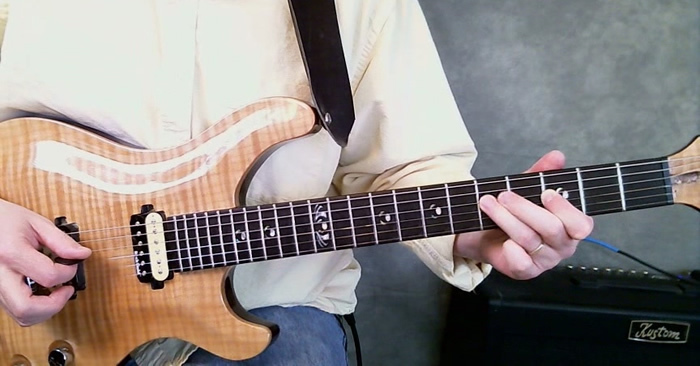 Pentatonic Modal Studies - Michael Chodosh shows how to connect pentatonic scale shapes with various chord shapes all over the neck of the guitar. Scales for Soloing - Guitarist Darrin Koltow from MaximumMusician.com gives a series of tips on how to use different lead guitar scales to solo. Improving Your Improvising and Soloing Skills - Guitarist Mike Philippov gives some tips on how to improve your guitar solos. How to Advance Your Lead Guitar Solos - In this guitar lesson Virtuoso guitarist Mike Philippov teaches you 5 important concepts to help you improve your lead guitar solos. How to Shred Like Paul Gilbert - In this free guitar lessons virtuoso Mike Philippov shows you 5 killer shred guitar licks inspired by Paul Gilbert. 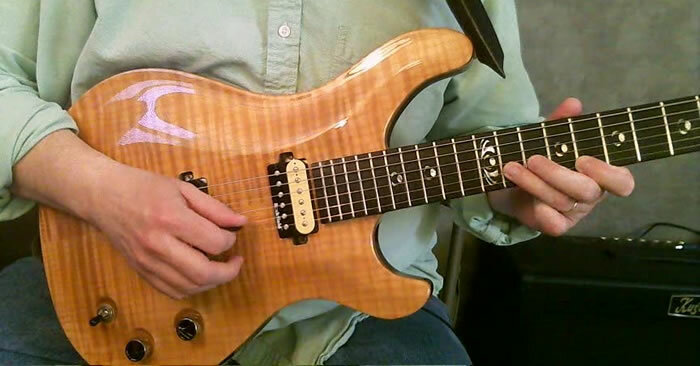 Expanding Your Options With Guitar Improvisation: Part 1 - In this lesson guitarist Randy Johnson shows you some cool ways to break out of a rut with your guitar solos. Expanding Your Options With Guitar Improvisation: Part 2 - In this guitar lesson Randy Johnson shows you some how to use intervallic ideas and double stops in your lead guitar solos. Open String Flash Guitar Licks - Part 1 - In this guitar lesson Paul Tauterouff shows you some cool guitar licks that involve open strings. Open String Flash Guitar Licks - Part 2 - Paul Tauterouff continues his series on cool guitar licks that involve open strings. Open String Flash Guitar Licks - Part 3 - Paul Tauterouff teaches 2 more cool guitar licks that involve open strings. 3 Note Sequence Ideas For Lead Guitar: Part 1 - Paul Tauterouff teaches you how to expand your lead guitar vocabulary in this guitar lesson by mutating a common 3 note scale sequence. Guitar Tapping on the Same Notes of Legato: Part 1 - In this free guitar lesson Josip Pesut explains the legato tapping technique that he uses in his guitar solos. Tablature and mp3 audio files are included for all of the guitar tapping licks. Including Arpeggios In Guitar Melodies - In this free guitar lesson Josip Pesut how to creatively incorporate arpeggios into your guitar solos. Tablature and mp3 audio files are included for all of the guitar arpeggio licks. Guitar Ideas Without Limits: Part 1 (Getting The Most From A Single Sequence) - In this guitar lesson Tommaso Zillio teaches you how to take a single lead guitar sequence, and creativity expand it into all kinds of cool guitar licks. Guitar Ideas Without Limits: Part 2 (Getting The Most From A Single Sequence) - In this guitar lesson Tommaso Zillio shows you some more advanced ways to creativity use scale sequences in your guitar solos. 8 Reasons Why Your Guitar Improvisation Does Not Sound Like Music - In this lead guitar lesson Tommaso Zillio helps you stop playing notes and start playing music. How to Move Laterally on the Guitar Neck Using Two String Scale Sequence Shapes - Paul Kleff teaches you how to break out of the box and expand your guitar solos by using 2 string scale sequences. Guitar Fretboard Secrets - In this free guitar lesson guitarist Greg X will help you understand and navigate the guitar fretboard in a more efficient way so that you will be able to play anywhere on the neck and improvise in any key. Chord Tone Soloing for Guitar - In this guitar lesson Greg X shows you how to incorporate using chord tones to create more soulful lead guitar solos.